Mermaid Sandcastle for Merriment Mini Fairy Gardening. 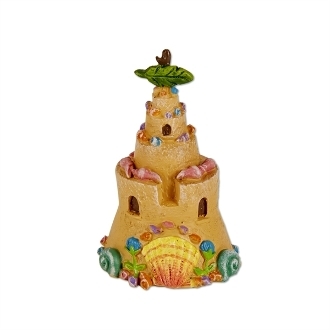 Full Description: This intricate sandcastle is covered in seashells and other sealife. Mermaid Sandcastle is underwater safe, features all-weather paint, and is made of resin.